This exciting and hugely popular event takes place at the magnificent Blenheim Palace, just outside Oxford. This year, around 180 designer-makers from across the U.K., selected for the originality and quality of their craft, will be showcasing the very best of British craftsmanship. The event features a huge range of contemporary work including designer jewellery, ceramics, studio glass, toys, soaps and fashions, with an inspiring choice of festive decorations and wreaths. Festive musical entertainment and street theatre will bring the season to life and the colonnades of the Great Court will be adorned with twinkling Christmas trees. Festive aromas from the specialist food and drink producers will tempt you with traditional Christmas treats and more unusual foodie ideas. 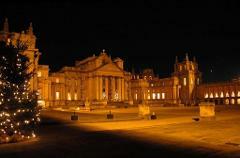 Includes entrance to a selection of rooms in Blenheim Palace which will be elegantly decorated for the festive period. Really popular and thoroughly enjoyable day out. 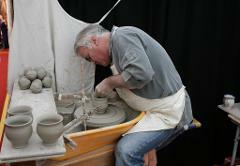 Price includes entrance to the show + Blenheim Palace.